In today's world being a talented interior designer isn't enough to ensure that you have a profitable and successful interior design business. Design school doesn't always teach you the critical business skills to be sure your interior design business be everything you imagined it would be! 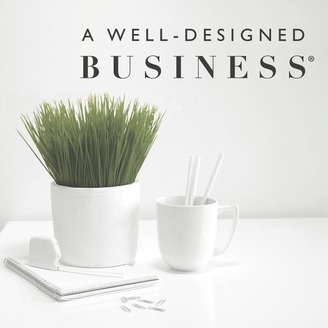 A Well Designed Business is here to fill in the gaps and give you real live business skills from some of the top interior designers. 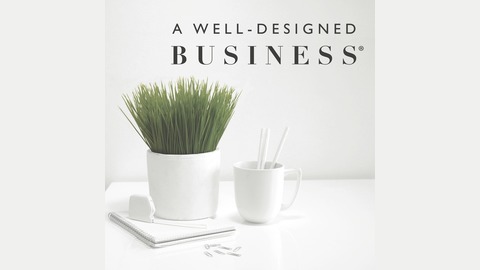 Your host, LuAnn Nigara shares her 35 years of success in the interior design industry, and she finds the most successful guests to share their interior design business best practices. Welcome to today's show! We're talking to Tiffanie White today, the creator of The Nappy Bohemian, located in Oakland, California. Tiffanie is a blogger, an interior stylist, and an e-designer and she also has a full-time position as a design consultant at Fireclay Tile. After spending many years as a career sales professional, The Nappy Bohemian was born in 2017 because Tiffannie wanted to merge her architecture education, her love for tile and ceramics, and her desire to showcase the real black experience in the world of interior design. Tune in today, to hear about Tiffanie's business, what she's doing, and the lessons she's learned from running her business. Tiffanie's job with Fireclay Tile has allowed her an inside look on the world of artisan makers, and it has also connected her with terrific designers in her East Coast territory. In today's episode, she describes how much she loves her job, she talks openly about the lessons and challenges she experienced in her first year in business, and she shares her goals for the year to come. Listen in now, to find out more. Tiffanie talks about her traumatic experience of taking her daughter to the hospital and how her daughter really loved the decor there. This showed Tiffanie just how important interior design really is in people's lives. Creating a holistic space is really important for Tiffanie. About Tiffanie's personal and unique 'only'. Tiffanie is proud of the lessons she's learned. Tiffanie talks about her first eighteen months in business. Being focused and clear in her vision. All about Tiffanie's e-design packages. Tiffanie's e-design is driven mainly through her Instagram and word-of-mouth. Going with the flow and trusting. Some of the challenges she's faced. You have to value what you do to have a thriving business. Being careful not to compromise in too many areas when starting out in a business. Work for free only if it's worth your while. Tiffanie's business goals for the next year.